Don't give the cold a chance. 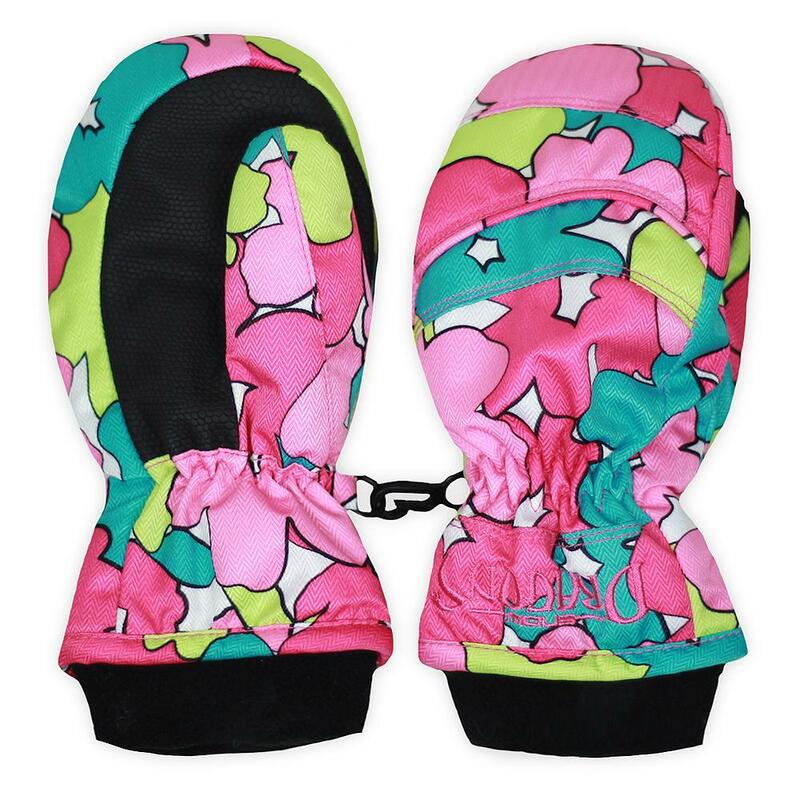 The Snow Dragons Whirlwind Ski Mitten stops the cold by bundling the fingers together and insulating them with 80g fill. The 10K/5K waterproof shell ensures that moisture can't seep in. The extended fleece cuff adds warmth and coverage while the reinforced palm increases durability. "i have a 3.5 year old and 5 year old.. what size gloves do they need?" "For ages 3-4 you need size M, and for ages 5-6 the size L would be a great fit!" Just what we needed to stay warm & dry.